Ayurveda views the physical, emotional, and spiritual aspects of a person as one unit and seeks to treat the body as a whole. This broad holistic approach takes into account the dynamic interrelationship between physiological processes, emotional state, diet and exercise, as well as external factors such as climate and even pollution. Ayurveda uses various methods to correct bodily imbalances including the use of herbs, both internally and externally. The integration of herbs into Ayurvedic treatments is based on the medicinal qualities of these herbs, as well as their ability to heal on a much deeper level. Ayurveda seeks to treat the root cause of the problem and not just the symptoms. It’s not surprising that Ayurvedic herbs have a dual effect on the body – they not only help to treat underlying health problems, but also bring balance within the body to promote overall health and wellbeing. 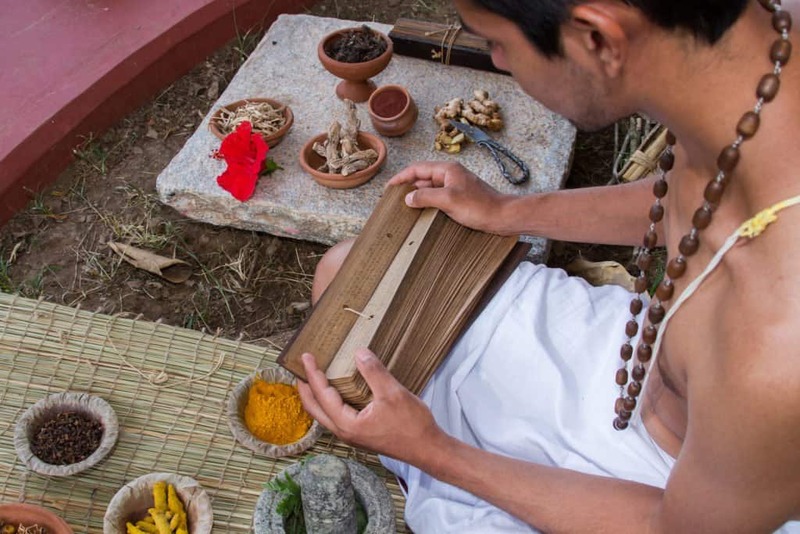 To understand how and why Ayurvedic herbs are so effective, it is important to understand the underlying concepts of Ayurveda, in particular, the bhutas and the doshas. The Pancha Maha-Bhuta are the 5 elements that make up our universe – Prithvi (Earth), Apas/Jal (Water), Agni (Fire), Vayu (Air), and Aakash (Aether). Each bhuta is linked to specific characteristics (We’ll get to the characteristics later on). From these elements, we get the doshas. Vata balancing herbs have sweet, sour, and salty tastes; pitta balancing herbs have astringent and bitter tastes; kapha balancing herbs have pungent and bitter tastes. Dosha is the universal energy that exists in all of nature and powers every aspect of our being from our physical and mental health to our emotional and spiritual equilibrium. There are 3 types of doshas – vata, pitta, and kapha; all 3 are present in each of us, but there are variations in their levels. While some people have a higher level of vata, others have higher levels of pitta or kapha. The balance of the doshas has a direct impact on an individual’s physical, mental, and emotional health. When the levels of the doshas are imbalanced, a person becomes susceptible to disease. Vata dosha is composed of the vayu (air) and akash (ether) bhutas, so its inherent nature is dry coldness. This is why vata individuals are advised to use sweet, sour, and salty herbs to introduce qualities that contradict and balance vata. 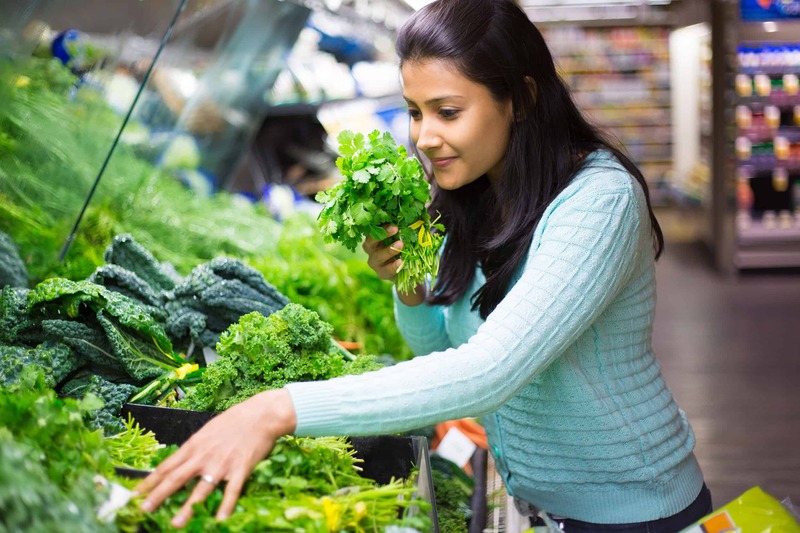 Some of the best Ayurvedic herbs for vata individuals include shatavari (Asparagus racemosus), ashwagandha (Withania somnifera), and brahmi (Bacopa monnieri). Pitta dosha is composed of agni (fire) and apas (water), so it’s inherent nature is hotness and moistness. This is why pitta individuals are advised to use bitter and astringent herbs that counter the qualities of pitta. Some of the best Ayurvedic herbs for pitta individuals include mint (Mentha), bhringaraj (Eclipta alba), and guduchi (Tinospora cordifolia). Kapha dosha is composed of prithvi (earth) and apas (water), and its inherent nature is wet coldness. This is why kapha individuals are advised to use pungent and bitter herbs that counter the characteristics of pitta. Some of the best Ayurvedic herbs for pitta individuals include bibhitaki (Terminalia bellirica), chitrak (Plumbago zeylanica), and moringa (Moringa oleifera). Vata imbalance can lead to several health problems including pneumonia. Recent medical research found that shatavari extract was effective against various pathogenic microbes , including Klebsiella Pneumonia, a bacteria that causes the condition. Similarly, other studies found that other Ayurvedic herbs for vata individuals such as ashwagandha and brahmi were effective in treating nervous disorders, inflammation, and certain infectious diseases that are common to people with this dosha type. Pitta imbalance can lead to several health problems including digestive disorders such as indigestion, acid reflux, and diarrhea. Medical research on the effects of mint found that its main constituent, menthol was effective in treating various digestive problems. Similarly, some studies found that other Ayurvedic herbs for pitta individuals such as bhringaraj and guduchi were effective in treating skin rashes and joint aches that are common to people with this dosha type. Kapha imbalance can lead to several health problems including hypertension and congestive heart failure. Medical research found that bibhitaki extract can help to inhibit atherosclerosis plaque progression and improve cardiovascular function. Similarly, other studies found that some Ayurvedic herbs for kapha individuals such as chitrak and moringa were effective in treating high cholesterol and diabetes, which are common to people with this dosha type. There are hundreds of Ayurvedic herbs and there are also different ways in which these herbs should be administered. Ayurvedic herbal treatments can be broadly divided into internal and external treatments. Ark is a potent liquid that is made by boiling and distilling herbs. Gulab ark and Ajwain ark are among the most popular arks. Churnas are made by grinding dried herbs to obtain a fine powder. These herbal powders are then mixed with ghee, milk or another Ayurvedic activator (anupan) to improve the efficacy of the churna. Lehyams are Ayurvedic jams that are prepared from herbs, jaggery, and honey. Chyawanprash is a popular general health supplement that contains 20-30 ingredients. Asava and arishta are herbal medicines that contain naturally generated alcohol. The alcohol acts as a medium for the active ingredients, which accelerates the therapeutic action of the preparation. Vati is an Ayurvedic medicine preparation in which herbal extracts are concentrated into pill form. Kutajghan vati and chanderprabha vati are among the more common vatis used today. Swedana or fomentation therapy induces perspiration with the help of steam from medicated herbal decoctions. The herbs used in these decoctions vary based on the individual’s health status and dosha type. Shirodhara involves a gentle trickle of a liquid (generally warm herbal oil) over the forehead. It is one of the steps involved in panchkarma (the five procedures of purification). Abyanga is an Ayurvedic body massage therapy that helps to prevent the accumulation of toxins, reduces fluid retention, and decreases body aches and pains. The herbal oils used for this massage vary according to a person’s dosha type. Herbs play an important role in Ayurveda, but herbal preparations need to be used on a regular basis in order for them to be effective. While Ayurvedic herbal remedies can help to correct dosha imbalances, the only way to enjoy good health is by following a dosha balancing lifestyle that includes healthy food, regular exercise, daily meditation, and adequate sleep. Visit our Know Your Dosha page to learn more about your dosha type and get personalized recommendations. Identifying your dominant dosha will allow you to follow Ayurvedic recommendations that are best suited for your needs. Potduang, Buppachart et al. “Biological Activities of Asparagus Racemosus.” African Journal of Traditional, Complementary, and Alternative Medicines 5.3 (2008): 230–237. Print. Mikaili, Peyman et al. “Pharmacological and Therapeutic Effects of Mentha Longifolia L. and Its Main Constituent, Menthol.” Ancient Science of Life 33.2 (2013): 131–138. PMC. Web. 23 Apr. 2018. Tanaka, Miori et al. “Terminalia Bellirica Extract Inhibits Low-Density Lipoprotein Oxidation and Macrophage Inflammatory Response in Vitro.” Ed. Steven P. Gieseg. Antioxidants 5.2 (2016): 20. PMC. Web. 23 Apr. 2018.